That bony protrusion near the base of your big or little toe is called a bunion. Bunions can be a source of pain and discomfort, especially as they rub against the inside of a shoe. In many cases, bunions can be easily treated with non-invasive measures like custom orthotics and properly fitting shoes, but some bunions require surgical correction. 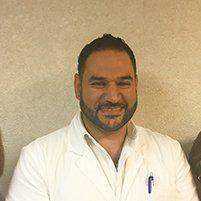 Patients in the greater Lowell, Massachusetts area and surrounding communities including Chelmsford, Dracut, Tewksbury, Westford, Billerica, and Tyngsboro, can seek treatment from the expert Dr. Paul Georges at Prime Foot and Ankle Care. A bunion is a bony bump that forms on the base of the big toe just under the joint. Bunions form when your big toe pushes against a neighboring toe, which forces the joint of your big toe to protrude. Wearing tight, narrow shoes can cause bunions or make them worse. Bunions can also develop because of an inherited structural defect, stress on your foot, or a medical condition such as arthritis. A smaller bunion called a bunionette can develop near the base of your little toe, too. What are the signs and symptoms of a bunion? Bunions develop because of the pressure of bearing and shifting your weight unevenly on the joints and tendons in your feet. This imbalance creates joint instability, eventually molding the parts of the joint into the hard knob, or bunion, that juts out beyond the normal curve of your foot. Bunions may be associated with rheumatoid arthritis. An occupation that puts extra stress on your feet or one that requires you to wear pointed shoes can also be a cause. Is medical treatment required for bunions? Many patients don’t seek treatment for bunions until they become so severe that they’re unable to wear regular tennis shoes. Seeking treatment early can actually slow or stop the worsening of your bunion and prevent the need for invasive treatment, like surgery. A podiatrist, such as Dr. Georges, should evaluate you if you suspect you have bunions.